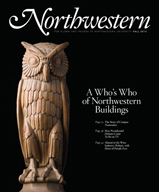 Stephanie Russell is editor of Northwestern magazine. From California to New York to the Pacific Northwest, a growing number of alumni make their living off the vine — and wine drinkers everywhere are the better for it. Ken and Akiko Freeman had been looking for years for a hillside vineyard and winery where they could produce cool-climate pinot noir and chardonnay. They finally found a 4-acre winery near a redwood forest — in Sebastopol, Sonoma County, about 50 miles north of San Francisco — where fog blankets the hills most mornings, and the daily 50-degree temperature range helps finicky grapes hold their complexity. But the Freemans were focused and passionate about pinot noir because of its versatility and easy pairing with a variety of lighter and global cuisines, especially Asian. 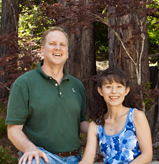 Ken and Akiko Freeman founded the Freeman Vineyard & Winery in Sebastopol, Calif. Photo by Nader Khouri. The Freemans, who had no training in viticulture, faced an uphill climb. Then something quite remarkable happened. Just three years after they opened their vineyard and winery with head winemaker Ed Kurtzman, a film set in California wine country called Sideways hit the big screen. In it, a disgruntled schoolteacher wine aficionado (played by Paul Giamatti) extols the virtues of pinot noir while on a wine tour with a friend (Thomas Haden Church) about to be married. In 2011 Wine Spectator magazine ranked Freeman’s 2009 Sonoma Coast Pinot Noir as the 22nd best wine in the world — out of 16,000 wines tasted. “Tight, with firm flavors of sour cherry, anise, mineral, cedar, white pepper and coriander, joined by a dash of tar. This is full-bodied, complex and detailed, ending with a laser beam of flavors,” according to Wine Spectator. Ken Freeman is one of a growing number of Northwestern alumni who are involved in the wine industry. Alumni sommeliers, wine critics, winemakers and wine marketers, wine journalists and investors can be found in the wine business from California to the Pacific Northwest to Chicago to New York. More than 50 graduates are active in a San Francisco Bay Area Kellogg School of Management alumni wine industry group that meets twice a year to discuss the latest wine business news — and to share good wine. Just to name a few alumni in the wine business, there’s engineering grad Kerry Shiels (McC02), winemaker at Côte Bonneville Winery in Washington’s Yakima Valley; Stephanie Gallo (KSM99), vice president of marketing at the family-run E.&J. Gallo Winery in Modesto, Calif., the largest winery in the world; Joe Wender (EB66), investment banker and co-owner with his renowned vintner wife, Ann Colgin, of Colgin Cellars in St. Helena, Calif.; Blair Collins Maus (KSM98), co-owner of Deering Wine in Sonoma County, Calif., with her husband, Todd; Vanessa Treviño Boyd (C98), sommelier at Philippe Restaurant + Lounge in Houston; Tyler Colman (G98, 03), wine educator, author and wine blogger; Quinton Jay (KSM96), a wine industry venture capitalist; Gloria Maroti Frazee (KSM97), director of video and education for Wine Spectator; and Carol Cannady Reber (KSM96), chief marketing and business development officer at Duckhorn Wine Co. in Napa Valley, Calif.
And then there’s Karen Page (WCAS83), a noted food and wine author who is determined to demystify the beverage and help Americans get over their fear of wine so they can better appreciate wine-food pairings. Not only are these alumni making names and careers for themselves in various aspects of the wine industry, they are helping to expand wine growing, wine quality, wine drinking and wine education. According to these alumni, Americans’ taste in wine is changing as producers and consumers alike increasingly seek wines that are food friendly, handcrafted, sustainable and have a strong sense of place. In fact, it’s Americans’ obsession with food and cooking shows and celebrity chefs that seems to be inspiring people to venture into the world of wine to learn more about what to drink with what they eat. And with good reason. “Wine enhances flavor in food,” says Page, whose latest book, The Food Lover’s Guide to Wine (Little, Brown and Company, 2011), is a reference guide to more than 250 wines and includes flavor profiles, food pairings and serving tips from top U.S. sommeliers. 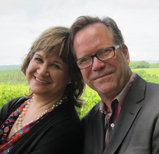 “What we most love about wine is its ability to make food taste even better,” adds Page, who, with her chef husband, Andrew Dornenburg, has written several James Beard Award–winning food and wine books. In 2010, for the first time in history, Americans consumed more wine than the French, making the United States the world’s largest wine market. And we’re making more of it as well, with more than 7,000 U.S. wineries. 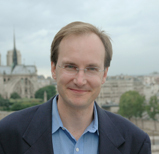 Tyler Colman did his doctorate on the political economy of the wine industry and earned the nickname "Dr. Vino." “Our wine industry got a kick-start in the 1970s when Bank of America issued an influential report that urged investment in the wine industry, pointing to growth, and that sparked a lot of capital to flow to the industry,” says Tyler Colman, author of the book Wine Politics: How Governments, Environmentalists, Mobsters and Critics Influence the Wines We Drink (University of California Press, 2008). And then California wines beat French wines in a blind tasting in Paris in 1976. Known as “the Judgment of Paris” (and depicted in the movie Bottle Shock), the blind tasting that crowned the winning Napa Valley wines put American wine on the world stage, says Colman, who, after completing his doctorate on the political economy of the wine industry in the United States and France, was dubbed “Dr. Vino” by friends at his dissertation party (a moniker that he turned into the wine blog DrVino.com). After the Judgment of Paris, wine appreciation spread rapidly in America, explains Quinton Jay, managing director at Bacchus Capital Management, a private equity firm in San Francisco specializing in the wine industry. “Baby boomers went to Europe, caught the bug and started getting into wine.” Today Jay sees three types of wine consumers: the baby boomers, the GenXers and the millennials. And he says it’s the millennials, born between the early 1980s and 2000, who are driving the wine industry. Alumni in the wine industry see several trends among wine producers, including an increase in sustainable practices and organic grape growing. Another trend in the United States among both producers and consumers is a shift away from rich, full-bodied wines to ones that are higher in acidity and lower in alcohol. “We’re at a stage in domestic production where we’re moving away from these big, high-alcohol, juicy red wines that sell at high prices but don’t really complement food so well, to more of a period where smaller producers are trying to find cooler areas to plant, where it’s more challenging to make lower alcohol wines that have higher acidity and that actually complement food,” says Colman. Sommelier Scott Tyree (C84) agrees. “Rich, extracted, powerful, full-bodied wines are perceived by a lot of people as being luxurious, high-quality wines, and some of them are,” says Tyree, a former wine director at the Chicago restaurant Tru, who is now a wine consultant based in Cape Elizabeth, Maine. “But there’s been a shift to wines that are more delicate, more nuanced, more subtle and more appropriate for food pairing. Professional sommeliers have helped educate American palates about wine, although they are a relatively recent addition to the U.S. wine world. 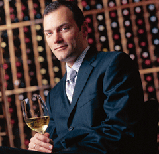 Scott Tyree got his start as a sommelier at Spiaggia in Chicago. Tyree credits chef and restaurateur Charlie Trotter with taking wine service to another level in Chicago when he recruited and hired talented sommeliers who were extremely professional and knowledgeable. “More wine was being served at home, and people were getting very interested in learning about wine. There was an audience that was developing before there were wine professionals,” says Tyree. Vanessa Treviño Boyd (C98), who was just named one of the top sommeliers of 2012 by Food and Wine magazine, also found her path to wine through the world of fine dining. After graduating with a degree in performance studies she worked as a community organizer for the United Farm Workers in Chicago. Then Treviño Boyd decided to get a second job and ended up as a waitress at North Pond in Lincoln Park, where she first learned about wine in the restaurant’s rigorous American wine program. 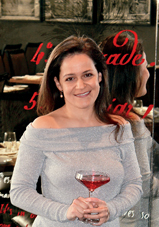 Vanessa Treviño Boyd, sommelier at Philippe Restaurant + Lounge in Houston, was named one of Food and Wine magazine’s top ­sommeliers of 2012. Putting together a wine list for a restaurant is a balancing act, she explains (see "Sip Tips from a Top Sommelier"). So what’s motivating her these days? Stephanie Gallo heads up marketing at the family-owned E.&J. Gallo Winery in Modesto, Calif. It was 105 degrees in Modesto, Calif., the July evening on which Stephanie Gallo, vice president of marketing at E.&J. Gallo Winery went out to dinner with a colleague from the company’s ad agency. Stephanie Gallo aims to stop that exodus. That’s why the E.&J. 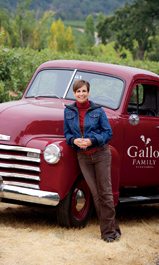 Gallo Winery is developing a line of refreshing wines under its Barefoot brand. “We’ve recognized for some time that wine is missing out on a major alcoholic beverage occasion, and that is the refreshing space.” Gallo plans to launch Barefoot Refresh — similar to a wine spritzer but more wine-like — in 2013. Hugh, Kathy and Kerry Shiels in a cabernet sauvignon section of DuBrul Vineyard in Sunnyside, Wash., with Max, Kerry’s vineyard and winery dog. Kerry Shiels traded in cars — for wine. After graduating in mechanical engineering, Shiels worked for Fiat in northern Italy for two years before getting transferred back to Chicago. Her desk job made her realize that she had gone into engineering because she liked to make things. So she decided to get back to her roots — vineyards. 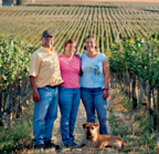 Shiels had grown up in Washington’s Yakima Valley, near where her parents planted the 45-acre DuBrul Vineyard and later started the Côte Bonneville Winery. She made her first bottle of wine at age 13. After working vintages in Australia, Argentina and Napa, Shiels earned a master’s degree in both grape growing and winemaking at the University of California, Davis, then returned to Washington state and became the winemaker at Côte Bonneville. When American oenophiles started ordering wines directly from wineries in the 1990s, wholesalers protested and pushed states to prohibit direct shipping. Many did, but since 2005 nearly 40 states have liberalized their wine laws to allow a winery to ship directly to a consumer. Quinton Jay is managing director at Bacchus Capital Management, a private equity firm in San Francisco specializing in the wine industry. Quinton Jay sees this as a huge boon to smaller producers. “Smaller wineries are beginning to see that it’s better for them to ship to the consumer themselves, have them join a wine club or order through the Internet,” says Jay. “It’s difficult for small wineries to sell to a wholesaler, because they give half their profits to a distributor. That high-quality product has helped sustain Freeman Winery beyond its post-Sideways pinot success. In the process, Freeman and his Northwestern alumni counterparts have benefited from transformations in the industry and found inspiration in the world of wine. 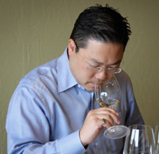 “I find my work in the wine industry intellectually stimulating because there are so many facets to the wine business itself,” says Jay. “First, you have the viticulture, growing the grapes. Then you have the making and selling of the wine itself. You bring in a raw good, you crush it, vinify it, store it, bottle it and then sell it through wholesalers or direct to consumer.